Whether they had to suffer through a trip to the dentist, behaved well all day long, or got straight As on their latest report card, there's always an excuse to take kids for a special treat at the toy store. And while you're there, you may spot a few toys that will spark that unmistakable feeling of nostalgia. From the classic Fisher-Price Ferris Wheel, to the familiar, unchanging scent of Play-Doh, there are tons of retro toys that are still available today that will let you share your childhood memories with your kids. But some of these toys are getting cool upgrades for today's kids. The iconic and beloved Cabbage Patch Kids have been around for more than 30 years, selling out in stores and even causing a few riots around the country. These yarn-haired, rosy-cheeked dolls provide kids with the perfect way to practice their nurturing skills, but this year, they will come to life like never before with CPK Baby So Real (pictured below). These new Cabbage Patch Kid baby dolls combine traditional play patterns with lifelike interactivity. Kids will hear adorable baby sounds as the dolls react to kids' touch. Each doll has animated LCD eyes that open, close and look around. 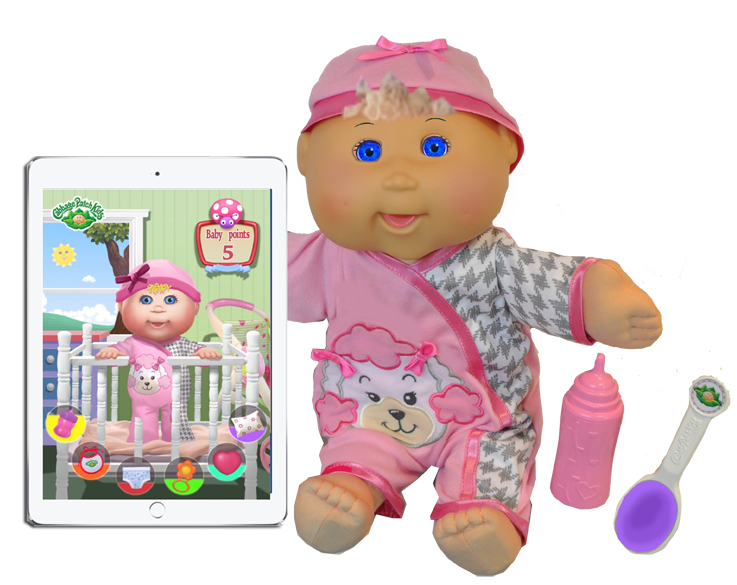 Baby So Real dolls have sensors for peek-a-boo and tickle play, feeding from a special bottle, burping, diaper changing and rocking to sleep. The babies can even come down with a fever, which kids can relieve with the magical spoon. For kids ages 3 and up, this will be a hot toy this holiday season. Even though the Cabbage Patch is going high-tech, other companies are finding ways to make old toys cool while sticking to their classic roots. Spirograph has been inspiring creativity for more than 50 years, but you can only have so many circle gears and wheels. 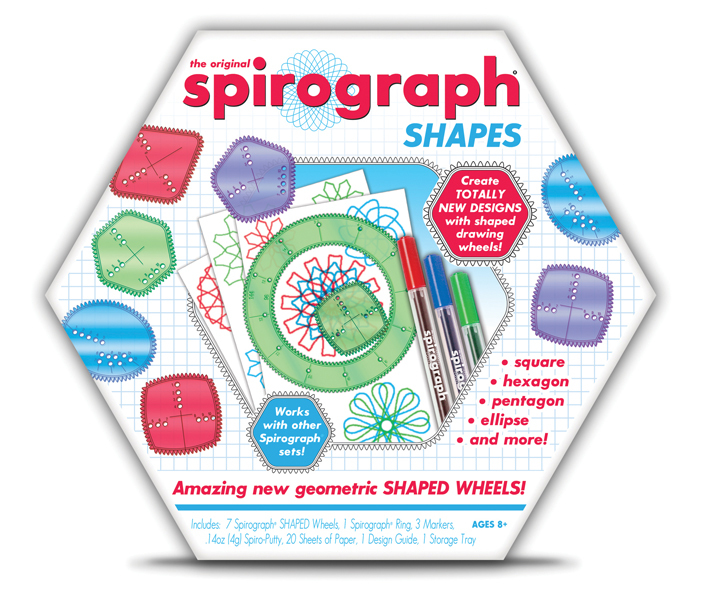 This year, Spirograph is going square--well, square, octagonal and rectangular. 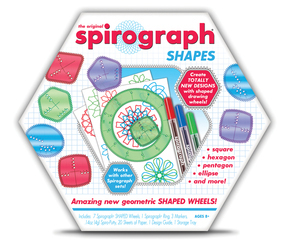 The newest kit in the Spirograph line is Spirograph Shapes (pictured below), which features new shaped gears that will allow kids to create hundreds of new designs. This totally new and unique kit breathes new life into the Spirograph brand, opening up new creative possibilities for kids and kids at heart. Today, taking a trip down a toy store aisle is a lot like taking a trip down memory lane. From Betty Spaghetty to Strawberry Shortcake, tons of classic brands parents grew up with are back on the shelves this year, many of which have new twists to intrigue today's kids. Give your Amazon account a break, and set some time aside to do some browsing the next time your kids deserve a treat--you never know what old friends you could meet!